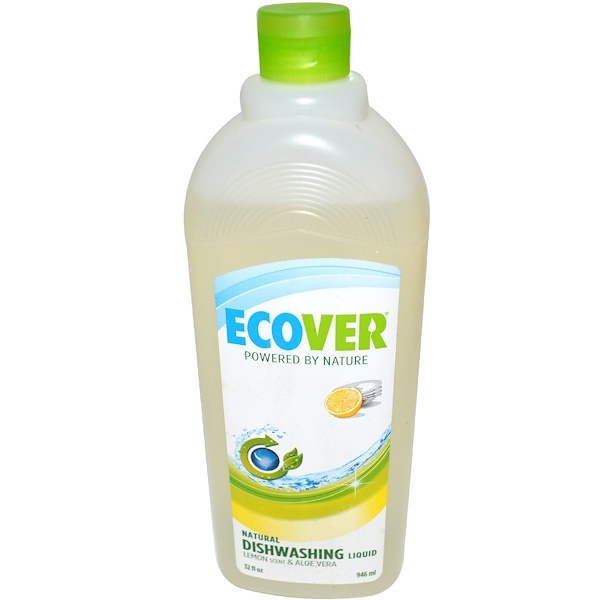 Ecover products have been developed under Ecover's Diamond Model that is validated by Vincotte Environment for reduced impact during resource extraction and transformation, product usage and environmental fate after use. Fresh Lemon scent and gentle Aloe Vera make this powerful dish liquid a winner; plant-based ingredients make it effective. Once squirt will tackle a sink full of dishes without loads of bubbles. Aqua, sodium laureth sulfate, lauryl glucoside, sodium chloride, sodium benzoate, citric acid, fragrance*, limonene, aloe barbadensis leaf juice, hydrolyzed wheat protein, citral. 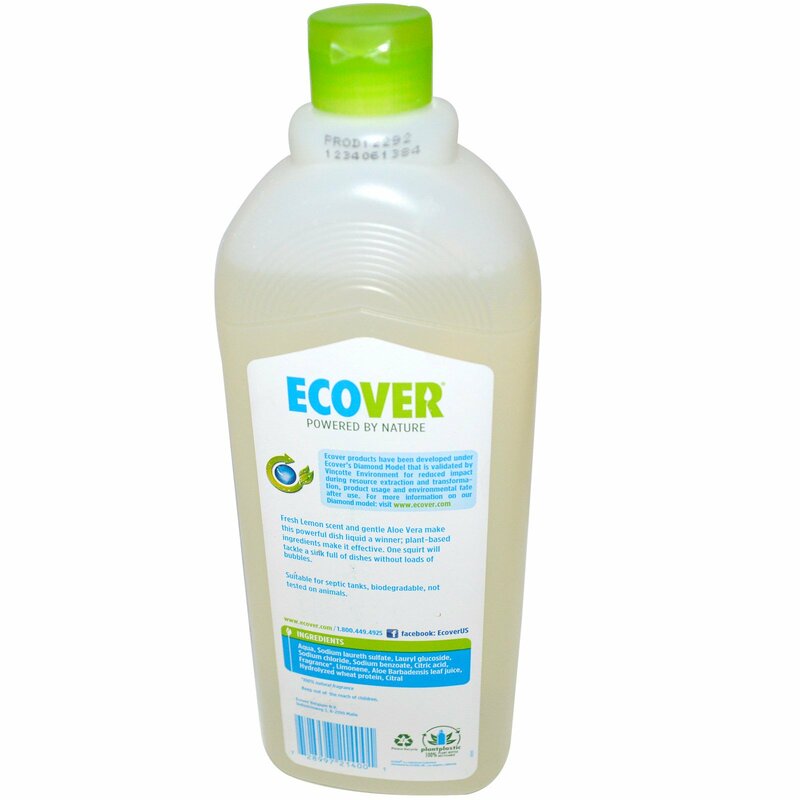 Suitable for septic tanks, biodegradable, not tested on animals.